If you ever watched or read the comics, you might have wished you could own an Iron Man armoured suit. 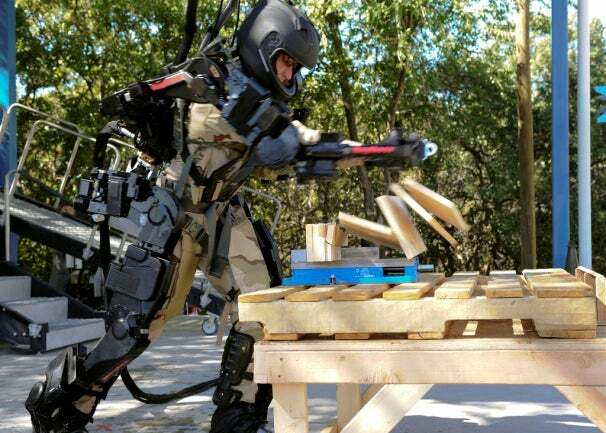 Fortunately, your daydreams of being a legit Tony Stark may be a little closer to reality than you think with Raytheon Sarcos's newest exoskeleton model. The robotics company believes that its newest exoskeleton, the XOS 2, will be available to consumers to buy in around five years, according to IEEE Spectrum. The exoskeleton, nicknamed the Iron Man suit, was originally created for the military to lighten heavy loads soldiers may have had to carry, and help reduce the number of injuries. Its development comes after the previous 2008 model, the XOS 1. According to Susan Katlin of IEEE Spectrum, the XOS 2 uses a blend of high-pressure hydraulics, sensors, actuators, and controllers to operatate and carry heavy objects, as well as leaving the wearer free to be quite agile. XOS 2 is also made of a lighter-weight material than the first XOS, and it uses half the power. The suit it pretty awesome, but it may actually also have more use than just pretending to be Tony Stark or the military. As previously reported, a graduate who lost the use of his legs was able to walk for his graduation ceremony, thanks to exoskeleton technology. Like him, there will be thousands of others whose lives could be changed for the better with the help of such robotics as the XOS 2.